Maybe you awoke this morning to a basket of chocolate bunnies, peeps, jelly beans, or brightly colored eggs. As I child, Easter Sunday was always a day of candy, food, brightly colored church clothes and more candy. Easter eggs were always my favorite. It was always fun to see how creative we could be with our egg decorating. Most people understand that the egg was a pagan symbol of fertility long before the Christian custom of egg hunts and Easter baskets. You can glorify God in anything. This week, as I was writing and studying each day for my Lent duties, I ran across a wonderful tradition that many in the Orthodox church still follow. There is debate as to the origin of the crimson egg, but the traditions associate with it serve a simple, but dynamic purpose. It is a custom among millions of believers to dye eggs a beautiful crimson color and leave them at graves of ancestors. The crimson signifies the blood of Christ and the location is a sign to people visiting graves of departed family members that Easter is about the resurrection. Christ defeated the grave and prepared a place for us in a much bigger picture than we can comprehend. 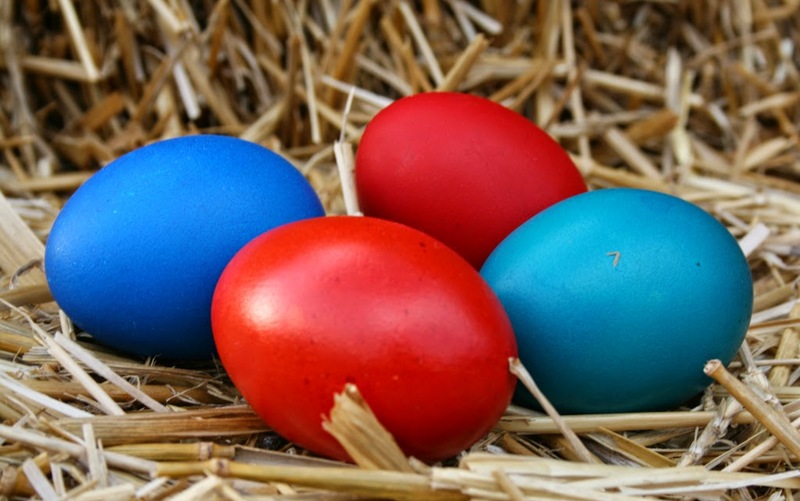 Bunnies and peeps and jelly beans are great, but a brightly colored egg—especially a crimson one—contains such a simple truth.